Put simply, a constitution is a set of laws guiding how a country is governed. The constitution organises, distributes and regulates the power of a state. It can either be written down (codified) in one single document, such as The Constitution of the United States, or unwritten (uncodified) and found in a variety of sources, as is the case in the UK. The UK’s uncodified constitution is made up of written sources, such as Acts of Parliament, judgments and treaties, and unwritten sources, such as parliamentary constitutional conventions. This, as well as the relationships with Scotland and Europe, can make UK constitutional law a little complex. The main law-making organisations in the UK and its constituent parts are the UK Parliament in Westminster, the Scottish Parliament in Edinburgh, the National Assembly for Wales in Cardiff and the Northern Ireland Assembly in Belfast. Various European and international arrangements also have an impact on the country’s legal system. This guide explains how these arrangements work together to guide how the UK is run. What is legally more important: the UK Parliament or the Scottish Parliament? What is the difference between the European Union and the Council of Europe? What is the difference between the Court of Justice of the European Union and the European Court of Human Rights? To understand constitutional law, it is important to be aware of the fundamental distinction between public and private law. Public law: laws governing the relationship between a state and its citizens (in this case, the UK and its citizens). The main areas of public law are constitutional or administrative law, which sets out the rights and responsibilities of citizens and how the state will be ran, and criminal law, which sets out acts prohibited in the state. Private law: laws governing the relationship between private individuals. Areas of private law include contract law, the law of negligence, property law, family law and succession. This guide primarily focuses on public law as it is explores the relationship between the state and its citizens. The judicial branch – the court system, which upholds the laws. In the UK, although there are different legislative bodies that are responsible for making laws in different areas, and different legal systems, the Parliament in Westminster has legislative supremacy, also known as parliamentary sovereignty. Parliamentary sovereignty is a fundamental principle of constitutional law in the UK. It means that the UK Parliament has supreme authority to make the law. Devolution is the term used for the transfer of powers from the UK Parliament to subnational authorities. The subnational authorities in the UK are the Scottish Parliament, National Assembly for Wales and the Northern Ireland Assembly. This means that the UK Parliament has granted these bodies law-making powers in relation to certain matters. Although parliamentary sovereignty means the UK Parliament retains ultimate authority and may revoke any devolved powers, it is unlikely to do so for political reasons. See ‘Legislative Hierarchy’ below for more information. Scotland and the rest of the UK have different legal systems. Historically, this stems from the Treaty of Union 1707, which formed the United Kingdom with Scotland as a part of it, and explicitly referred to the maintenance of distinct legal systems. Scotland’s legal system is a hybrid between common law and civil law. Common law is a system which uses a hierarchy of courts and judges to develop law. Civil law, on the other hand, is a legal system which relies primarily on codifying (writing) legal principles. Scotland uses both of these elements: there are courts in Scotland which develop the law, the Scottish Parliament that makes laws on devolved matters and the UK Parliament in Westminster that makes laws on reserved matters that have force throughout the UK. So, whilst company law, for example, is practically the same throughout the UK because the Westminster Parliament has legislated comprehensively on it (Companies Act 2006), property law is different because many of the rules in Scotland originate from years of judicial authority, rather than Acts of the UK Parliament. As Scotland has its own legal system, the courts in Scotland are distinct from those in the rest of the UK, except for the UK Supreme Court, which is the highest court for every part of the UK. Although the Scottish court system for civil law and criminal law is different, each has a hierarchy: the higher court has authority over the lower court. In other words, if the Supreme Court makes a decision then all the other courts in the UK must follow it in future cases. Likewise, if someone appeals to a higher court then that court can overrule a decision made by a court below it. The higher the court, the greater its authority. If it is an important issue, perhaps a criminal law case (e.g. murder) or an important civil law case (e.g. an accusation that a state authority, such as the Government, has acted illegally), then it will be dealt with by the court which is higher in the chain. For civil law, the highest court for all of the UK is the Supreme Court. For criminal law, the highest court in Scotland is the High Court of Justiciary, whereas, for the rest of the UK, this would still be the Supreme Court. Again, this stems from the Treaty of Union 1707. However, it is possible for a Supreme Court case to be concerned with Scottish criminal law in cases where a compatibility or devolution issue arises. But, to understand what this is, it is important to first understand the legislative hierarchy. 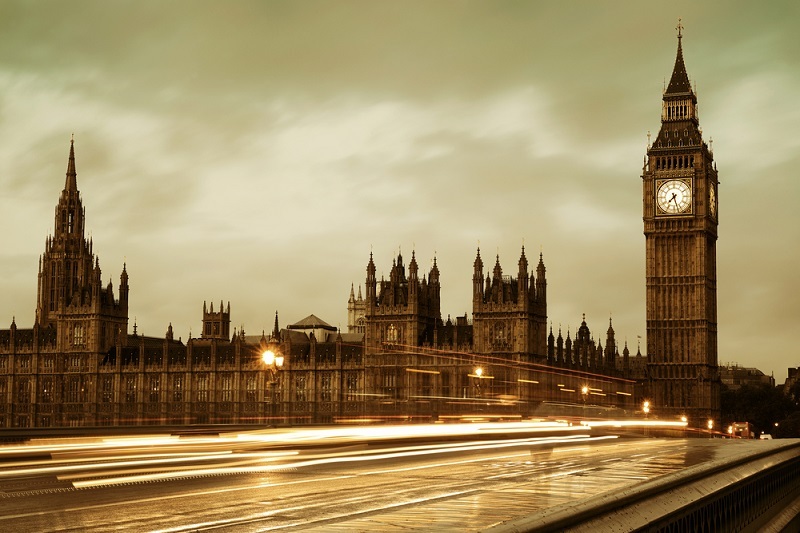 The main legislative body in the UK is the Westminster Parliament in London. Often referred to as ‘sovereign’, meaning that it has the main power to make and change law. However, Scotland has the Scottish Parliament which also makes laws. The UK Parliament created the Scottish Parliament and, in doing so, delegated some of its legislative authority to Scotland - but it remains in overall control (see devolution above). The Scottish Parliament is able to legislate on any matter that isn’t reserved to the UK Parliament, such as the military and defence. The Scottish Parliament also has to abide by certain rules. For instance, Scotland cannot make laws which are incompatible with either European Union (EU) law or the European Convention on Human Rights (ECHR). As mentioned earlier, a criminal case can appear before the UK Supreme Court when the competence of the Scottish Parliament’s or Government’s actions are being challenged. This happened in the Cadder case, which attracted a lot of media attention. Scottish criminal law said it was okay for somebody in police custody not to have access to a lawyer until they were formally charged. But the Supreme Court decided that this piece of Scottish criminal law was not compatible with the European Convention on Human Rights and its requirements for ensuring a fair trial and access to a lawyer at an earlier stage. Similarly, many people agreed that the Scottish Parliament should not have the power to call for a referendum on the independence of Scotland. That is why the UK Government (acting under the authority of the UK Parliament) signed an order known as the ‘Edinburgh Agreement’ allowing a referendum to be made by the Scottish Parliament. This shows the difference in powers and competence between the Scottish Parliament and the UK Parliament. UK Constitutional Law is also affected by Europe. There are many misconceptions and blurred lines surrounding Europe, particularly in the UK, so it helps to understand that – in legal terms – there are ‘different’ Europes: the Council of Europe and the European Union. A proposed referendum to leave the European Union, for instance, does not affect the UK’s relationship with the Council of Europe. The judicial branch - The European Court of Human Rights. Legally, the Council of Europe only has as much effect as the UK Parliament has allowed it. The UK Parliament created the Human Rights Act 1998 which makes the UK courts responsible for upholding the ECHR and for the UK Parliament to ‘take into account’ its decisions. But the UK Parliament, as the sovereign institution in the UK, cannot be forced to do anything, legally speaking (which is why it has not legislated on the issue of prisoner voting rights despite the European Court saying it has to). The Scottish Parliament is not sovereign and can only act within the limits the UK Parliament has set it. One of these limits is that no act of the Scottish Parliament can be law if it does not comply with the ECHR. So, if the UK Parliament creates a law which is not compatible with the ECHR, they will get a slap on the wrists from the Court in Strasbourg and may be issued a fine, or a UK court may issue a ‘declaration of incompatibility’ – but, legally speaking, the law does not change until the UK Parliament decides to change it. However, if that same law is created by the Scottish Parliament, then it quite simply is not recognised as law in Scotland and it would be treated as if it never existed. This is an institution of 28 member states, which is completely distinct from the Council of Europe. It is a supranational organisation with a unique political and legal status, created by international treaties and with a democratically elected parliament. The judicial branch - the Court of Justice of the European Union (CJEU). Due to the way the EU has been set up, ‘direct effect’ of laws can happen in certain situations. This means that citizens of member states are affected by EU laws, even if their own parliament has not passed the law. The way to think about it is that the EU, like the Scottish Parliament, is an institution which the UK Parliament ‘delegated’ some of its power to. The EU can only legislate in certain agreed areas which are laid out in the ‘primary laws’ (the various treaties it has signed and officially agreed to, including the Treaty on the European Union and the Treaty on the Functioning of the European Union). As a result, these legal agreements are directly legally enforceable in the UK. This means that a UK citizen can enforce these laws in any UK court, or as far as the CJEU and the UK is legally obliged to uphold those rulings. Unlike the Council of Europe and rulings from the European Court of Human Rights, the UK cannot lawfully ignore the rulings or the fines made against it. There is also the issue of secondary legislation – legislation which is created by the EU, such as Regulations and Directives. If the EU passes a Regulation then this instantly becomes law in the UK and will be enforceable by UK citizens in the same way as above. Directives generally do not have this power, but the UK is legally obliged to start using that law domestically, meaning the UK Parliament must legislate on the Directive to introduce it. Like the Scottish Parliament, these European bodies only have the power that the UK Parliament has chosen to give them. However, some people think the EU is legislating beyond its powers. But, if the UK Parliament decided it wanted to leave the Council of Europe or the EU, or abolish the Scottish Parliament, it has the authority to do so - although a lot of political damage would likely be caused as a result.